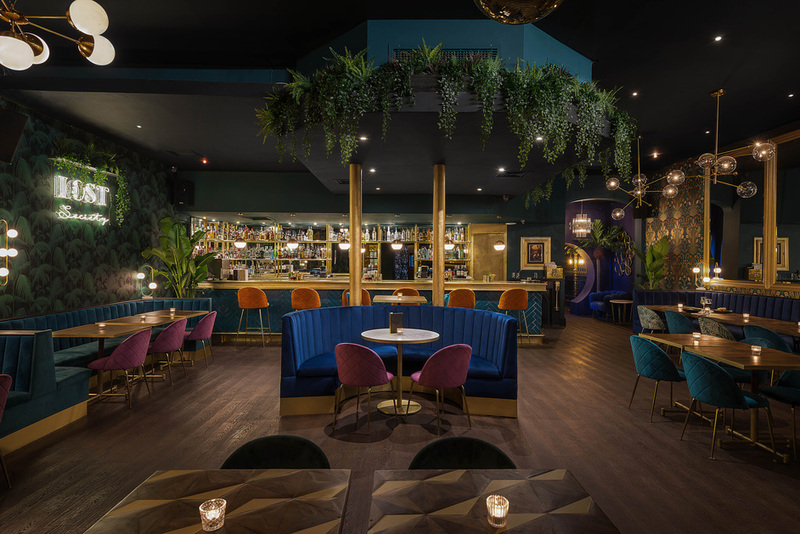 Late night South London hotspot Lost Society has moved to Battersea and the makeover has given it a roaring '20s inspired art deco design with Instagram opportunities around every corner - from the photo ready, pretty-in-pink loos to neon angel wings. The former owners, managers, bartenders, DJs, and doormen have all reunited to bring the back the decadence, dining and dancing of the original Lost Society on Wandsworth Road. The spacious outdoor area is a botanical oasis complete with a covered terrace and outdoor bar, creating the perfect space to wine and dine regardless of the weather. Food and drinks menus list cocktails, burgers and vegan options, DJs play house, funk, and classic hip hop on weekends and you can recover from Friday and Saturday night's antics at the Battersea brunch club every Saturday and Sunday when hearty meals, bottomless bubbles and uplifting tunes are served. Lost Society clubs, bars, cabaret nights, casinos and interesting nightlife. What are the best dining options near Lost Society London? Lost Society gyms, sporting activities, health & beauty and fitness. The best pubs near London Lost Society. Where to have your meeting, conference, exhibition, private dining or training course near Lost Society. From cheap budget hotels to luxury 5 star hotels see our discounts for Lost Society hotels, including Dolphin House Serviced Apartments from 82% off.